Geographical issues are wide-ranging, important, complex, and they present themselves on a range of scales. As teachers, we happily spend weeks developing students’ knowledge and understanding of case studies that represent these issues. I want to question how this material is being assessed and why examination boards assess specific aspects of geographical issues. I am also interested in the assessment of research skills amongst our students and wonder whether linear examinations are perhaps a better measure of memory than true geographical awareness, passion and understanding. When GCSE students think about natural hazards, they are likely to turn to floods, volcanoes or perhaps earthquakes and subsequent tsunamis to demonstrate their knowledge of the causes, effects, responses or management of such events. If examination boards demand that candidates know about more and less developed countries, students are likely to have events in specific countries in mind and will hopefully apply their knowledge to meet the needs of the question. Surely then, if we provide students with the right list of causes, effects and responses which are specific to an event, one would hope they will remember these points in order to work in detail under examination time pressures. In this way, it seems that examinations are a measure of student memory rather than a measure of true geographical awareness and passion for the subject. Do we feel that examination questions assess our students for the quality and richness of their geographical understanding or are we simply measuring their ability to recall points and apply them to specific question settings? 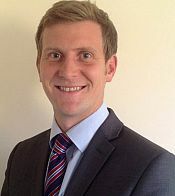 Nick D yson is currently Head of Sixth Form at Burgess Hill Girls, and also works as an examiner. He has held a variety of teaching roles during his career, including: Newly Qualified Teacher Coordinator, Head of Geography and Head of Careers. Outside of the classroom, he is also a keen windsurfer. ← Classification and implications: Who is black, or indigenous, or Jewish?